Where it begins: emotional intelligence for leadership. Kudos aside, what I heard the chief exec saying was that in management it can be very difficult to help people navigate their work and personal lives. However, the two go hand in hand. Whether you’re the boss or a colleague, you likely need your staff and peers to be on top of their game for things to run smoothly. In the case above, personal and emotional issues were impacting leaders’ behavior – and when 2 out of 6 leaders at the top of an organization are not on their “A” game there can be some damaging turbulence in the environment. Now, you’re probably wondering what worked with those 2 leaders who had fallen off track? A few of my posts in the coming months will provide more insight, but the short answer is that we developed their skill set in the area of Emotional Intelligence. Yes, you read that correctly. Leading business thinkers have spent decades examining factors that impact leadership: Overall IQ (intelligence quotient), cognitive processing, cognitive flexibility & adaptability, ability to navigate new and/or complex situations, managing ambiguity, personality traits, etc. 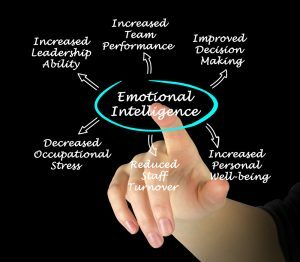 And while we know that pieces of all of these factors affect leadership and the ability to lead, emotional intelligence has emerged in recent years as an essential aspect of effective leadership. Not to be a spoiler, but emotional intelligence (unlike other traits that are more static) can be be learned and significantly improved with willingness and commitment to skill development. Let’s talk more about emotional intelligence and leadership. It can be the one thing that boosts you (or someone on your leadership team) from being an average leader to becoming an outstanding executive! Whether you are a board of directors hiring a new chief exec – or a chief exec hiring new leadership – know your candidate’s skill set in the area of emotional intelligence. It’s essential. Remember how costly a poorly-fit new hire can be (see earlier posts)? #5 – You just can’t see the reasoning behind it. You (and perhaps a colleague or two) started this business and knew what you wanted to accomplish. Now the organization has grown and you’re seeing expenses related to personnel increasing exponentially with increased cost across your financial spreadsheet. However, as a CEO or top exec you don’t have the time or energy to look into the issue. Your small but manageable HR department needs to manage it. #4 – You have a COO (or another exec level staff member) you can trust. Luckily there’s someone close to you and/or the organization who you trust, and that makes them a great candidate for COO. Why spend money to assess, vet, and hire an executive with a talented skill set when that friend of yours is available now? We’ve seen this time and again. Believe me when I say it’s more common than anyone would care to admit. Unfortunately, while this may feel like a good “gut” move, the consequences of hiring the wrong person for a high level job are huge. While most industries are volatile enough that it’s hard to predict what’s coming one or two years down the road, a solid skill set for leadership and management can be spotted through the right lenses. As can a potential flop. Why spend a million dollars or more over the next 2-3 years on the wrong exec, when you can spend a fraction of that to get it right the first time? People change. Times change. Organizational demands, obstacles, and capabilities change. In order for any business to adapt as the economic landscape changes, your approach – and the approach of your exec team – have to adapt as well. What worked 10, 5, or 2 years ago may be an outdated approach that is costing your organization its valuable resources. Often a fresh, authentic perspective on what your current culture looks like can be invaluable. 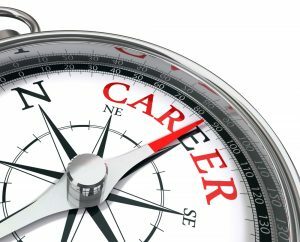 With the right talent acquired (or developed from within) you can become a consistent leader in your industry. #2 – You can’t convince yourself, your board of directors, or your current execs that spending the money to hire the right executives, leadership, organizational development program, or coaching will be profitable. #1 – Nationally, there are thousands of companies that provide organizational leadership, organizational development, organizational improvement, and executive coaching options. It’s hard to know where the dollars spent on this engagement will be used efficiently and effectively to truly recommend what’s best and be able to assist in the evolution of your company. This is (unfortunately) true – and caution is warranted. There are no guarantees in hiring organizational consultants, and hiring the wrong group for your company can be costly as well. However, you can look at credentials, experience, and fund of knowledge as benchmarks for what you’ll get. As is common sense, never pay for someone or something with which you haven’t had a chance to develop a true relationship. Call, meet in person, ask questions, and get a sense of who you’re dealing with. Do they have the credentials to use top level assessments in their recommendations? Are they personable and genuine in their approach? Is this simply their job – or do they actually care about your organization enough to make even the toughest recommendations? Here at Prosperity – our goal is to be your #1 resource in answer to all 5 of these concerns. We DO believe that our services are important, and that by building a relationship with you and your organization we will be the best investment you can make for today, tomorrow, and years to come. We are licensed Psychologists with 30+ years of experience working in and around all kinds of organizations (and individuals) that strive to improve and evolve as the times demand. We will be there for you too. Give us a call @ 720.612.0244 – and let’s set up a time to chat about where you’re at, and where you’re going. Executive assessment, executive leadership development, organizational development, and executive coaching are where it’s at!